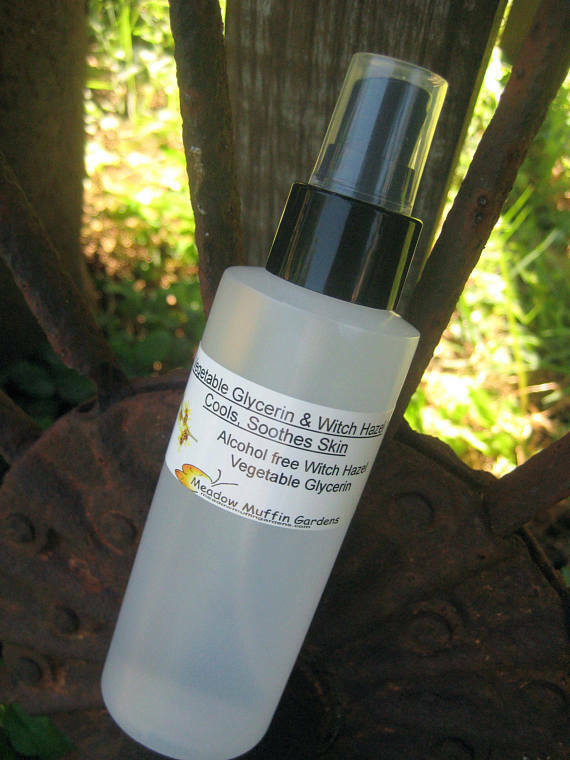 Here we have the original Witch Hazel & Glycerin Spray with the addition of skin soothing Sandalwood essential oil. Pet skin allergies are one of the most common reasons pets need to visit their veterinarian. As frustrating for the doctor as for the pet owner, these conditions are often chronic, meaning all you're doing is offering temporary relief even though you go to the vet hoping the next "fix" will work this time for good. Prednisolone works like a magic pill but long term steroid use is often detrimental for your pet's health. Be aware of what is in your pet's food. The more inexpensive brands are corn based which is a cheap filler, adds weight gain, often attributes to allergies, and is not the best thing for a naturally carnivorous animal. You will find that the better quality pet foods require less per serving, bringing the overall cost down. Cheaper foods don't offer the nutrition your pet needs, contain fillers and potentially harmful additives and preservatives, eventually evident in the condition of the skin, coat and possible chronic disease. The addition of 1 Tbsp. of flax seed oil added daily to your pet's diet can help with irritated skin. Commercial pet foods are often lacking in the 'good fats' so needed for healthy skin. Flax oil comes bottled in the refrigerated section of most health or natural food stores. If your pet's itch is the result of a flea allergy, it only takes one bite to start the cycle again. If there is one flea there are bound to be more. Bathe your pet to kill the fleas, wash the bedding, vacuum your home thoroughly, treat with a flea treatment if desired and the inflammation may resolve itself without the need for steroids. To control the itch is key to controlling the condition. As long as there is itch, there will be the urge to scratch and lick which only makes things worse. A natural, safe, inexpensive method of helping to control the itch is with a simple spray made up of Vegetable Glycerin and Witch Hazel. This spray is not being promoted as a cure, but rather a means of helping the body so it can heal itself. Since people and pets all react differently to available products, this is simply another option to try to see what works. It may work amazingly and your pet will stop with the ceaseless licking, enabling the area to heal or it may just offer some relief till the next cortisone shot. I am making no claims that this spray is a cure for a medical condition. It is a result of information gathered on the benefits of witch hazel and vegetable glycerin. Witch Hazel is a natural anti-inflammatory and offers soothing and cooling benefits to irritated skin. Witch Hazel is traditionally made through a distillation resulting in a product with 14% alcohol for preservation. The alcohol may be too drying, therefore the Witch Hazel used for this spray is alcohol free. For preservation purposes, benzoic acid, a mild preservative has already been added to the witch hazel. Vegetable Glycerin is a natural product made from corn and other seed oil crops and is popular in soaps and skin care because it doesn't irritate. Glycerin acts as a barrier to lock in moisture, and provides great hydration to the skin. In doing so, it helps immensely with dry skin and conditions resulting in itchy dryness. This listing for the Glycerin and Witch Hazel spray has the addition of Sandalwood essential oil. Sandalwood essential oil is a costly essential oil but it has been shown to do wonders with easing skin inflammation. Whenever my cat's skin starts up again with the twitching and scabby areas, I use this blend and rub it in thoroughly. 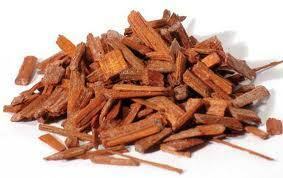 Sandalwood contains anti-inflammatory, antiseptic and hydrating properties very beneficial in skin care. Your pet will smell wonderful for days with this wonderful exotic scent. Sandalwood is on the safe list for use with cats. One to three times a day, or at that first tingling, lightly spray onto the area and rub it in till it is gone. If you prefer to put it on heavier than what a spray can do, you may prefer a pop-up cap. Then you can pour a bit onto a cotton round and apply it that way. You choose at check-out. An option is to keep the spray in the refrigerator. The cold temperature may further help nip the itch. This skin spray comes in a 2 oz or an 4 oz. plastic bottle with a sprayer type top or a pop-up type cap. Here is the link to this spray without the sandalwood essential oil.